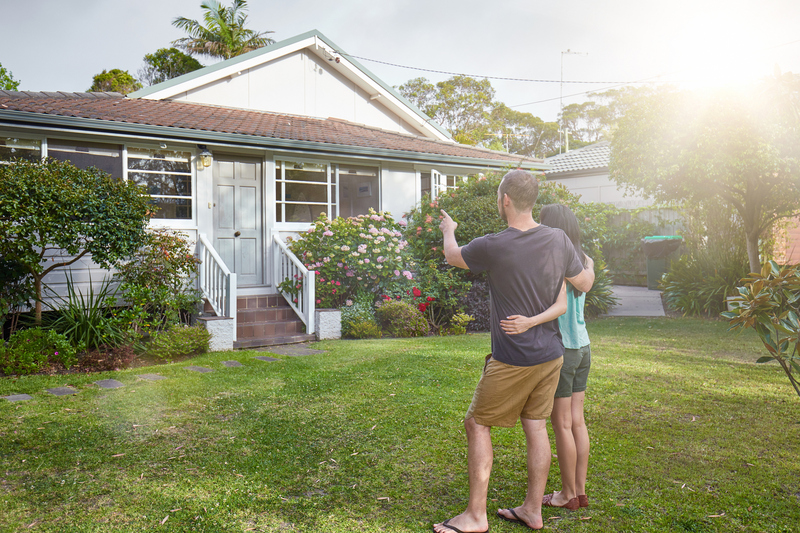 Sydney and Melbourne may be driving the nation’s house price falls, but a new Moody’s Analytics report is more positive, forecasting that the Australian housing market will pick-up after this year’s decline. 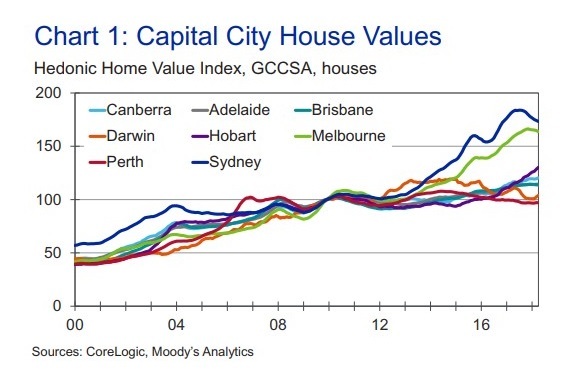 While the housing markets in Australia’s two largest capital cities have begun to slow, the latest Corelogic-Moody’s Analytics Australian Home Value Index Forecast sees Adelaide, Darwin, Canberra and Hobart’s housing markets continuing to improve, while Brisbane and Perth markets remain flat. Moody’s Analytics housing economist Alaistair Chan said dwelling values in Australia's Housing Market are seeing slower growth as a result of past value increases. Capital City House Values: House values in Sydney are forecast to fall nearly five per cent this year before returning to growth in March next year. “Which has exceeded income and rental growth, past supply increases, and actual or expected increases in borrowing costs,” Chan said. While most recent housing market downturns have been driven by external shocks or higher interest rates, the current downturn is being driven by tighter lending policies explains Corelogic research director Tim Lawless. 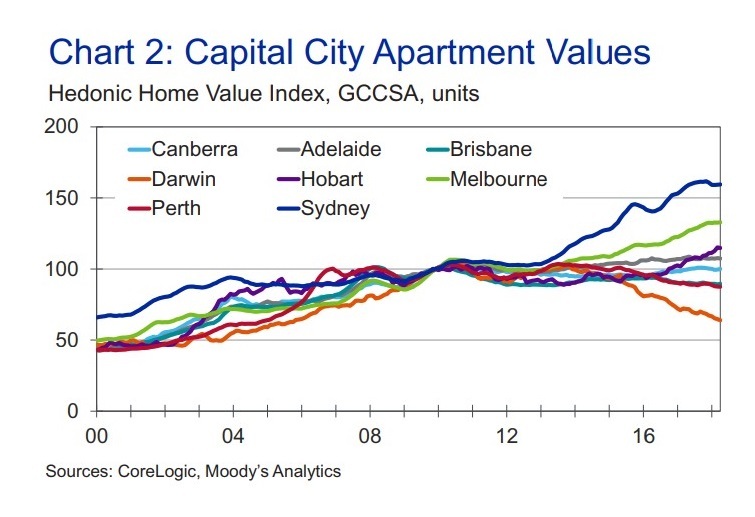 “Particularly for investors, which are impacting the most expensive and most investor-centric housing markets. Capital City Apartment Values: Healthy demand will see apartment values in Sydney retain their value, and gain 0.6 per cent in 2018, while Melbourne’s apartment market is expected to gain 4.3 per cent this year. The nation’s economy is on an upward trend as business investment is increasing, and employment is growing around 3.1 per cent year-on-year, sitting comfortably above its 1.9 per cent long-term trend. Although Australia’s economy is in its 27th year of recession-free expansion, the report describes the results across the past three years as “lacklustre”, with change in sight.